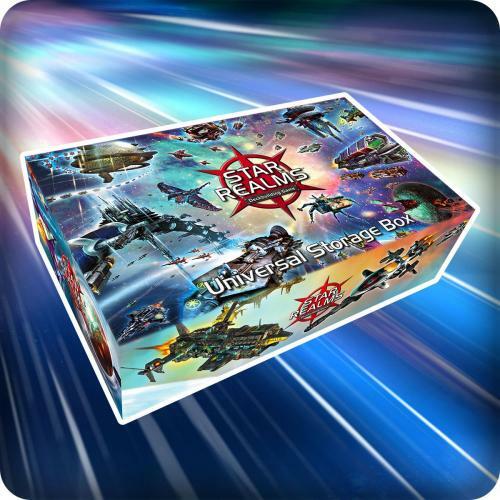 Fill in your details below and we will let you know within 24 hours if we can get Star Realms: Universal Storage Box to you with haste! For use with the Star Realms Deckbuilding Game. 15-Card promo and token set (2 Brooder, 2 Embassy Transport, 2 Orbital Crane, 2 Recovery Mech, 1 Mutant Drone, 3 Warrior Drone, 2 Worker Drone, and 1 Young Queen), 30 plastic dividers, and 6 foam blocks.